In Acts 1, Jesus tells the disciples they will they will be His witnesses in their community and to the ends of the Earth. We believe the same is true today. We are not just called to reach the entire world, or our nation or state. We are called to reach our neighbors as well..
We have 3 levels of outreach that we focus on--with different opportunities throughout the year in each area. As good stewards of our resources, we don't want to recreate the wheel. 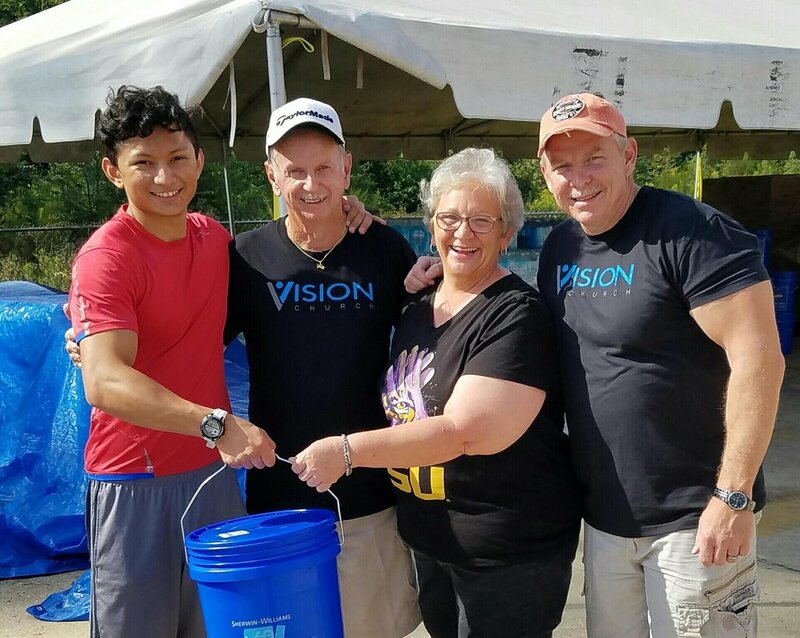 So instead of launching a lot of new outreach ministries, we choose to partner with organizations that already are making an impact and line up with the mission of Vision Church. The Meals Ministry is designed to provide meals to our Visionaries on a temporary basis for those who are sick, recovering from surgery, or experiencing a momentary need. Our goal, through God’s guidance and provision, is to bring joy and comfort through physical nourishment. If you are in need of a meal from our ministry, please contact our Associate Pastor, Mitchell Lewis. We love serving in our community! Our local strategic partners include Gastonia Street Ministry, Terrace Ridge Assisted Living and Southwest Middle School. For the Southwest school supply list, click here. We try to stay aware of needs that come up in our country and try to join in on one project a year. An example is taking up supplies and sending teams to help with disaster relief in various parts of the United States. God has allowed us to enjoy partnerships internationally with Operation Christmas Child, Watoto Children's Choir and the Rouse family (developing leaders in South Africa).